Wolfgang Puck Catering offers a contemporary event venue overlooking the Potomac at National Harbor. With wrap around balconies and modern furnishings, The Sunset Room by Wolfgang Puck is an ideal setting for meetings, convention groups, weddings and memorable social occasions. The secret recipe for legendary events: the Wolfgang Puck Catering team delivers creative seasonal cuisine and gracious, personalized hospitality in challenging event settings, iconic venues, and off-site locations. Just minutes from Capitol Hill and Downtown DC, this private setting offers breathtaking floor-to-ceiling windows with a commanding view of the Potomac River and The Capital Wheel. 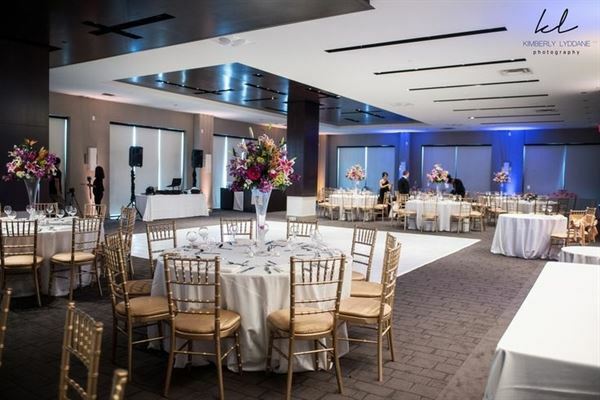 The Sunset Room’s panoramic scenery provides an elegant and contemporary ambiance for any event.